In order to be included in the April 1 Dealing, investors must send in subscriptions and funds not later than March 28. As of the January 2018 NAV statement all clients will need to insert a personal password in order to open the PDF file. The password is always "JO" directly followed by the investor ID number which can be found on previous statements. The D-Class share in SEK with ISIN code BMG4988Y2544, which is listed on Luxembourg Stock Exchange, is now an approved investment in SEB life Portfolio Bond. Subscriptions and funds for new investments need to be with Apex Fund Services Ireland, our sub-administrator two business days prior to month´s end. 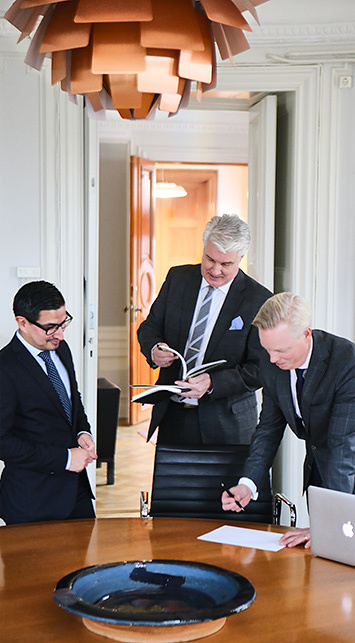 The first issue of SDRs closed on Friday 26th on 10,660,000 SEK equivalent to 1,094,782 EUR to be issued in SDRs backed by Class D shares, based on May 31 NAV. The fund is planning to proceed with another issue closing on June 27th. Subscriptions need to be with the fund administrator two days before month´s end, which means June 28th. Subscriptions and funds into the fund need to be with the fund administrator two bank days prior to Dealing Day which is the last day of the month. Next application according to this is March 29th.